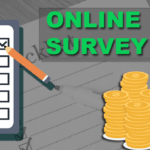 If you are looking for Online Survey Jobs to earn money online then you are at right place because I’ll show you a list of best survey sites that will pay you for answering very simple survey questions. Online Survey Jobs are one of the best & simplest ways to make money during your free time. By taking online surveys you can easily earn over $250 (16,000 Indian Rupee) every month. The best thing about Survey Jobs is that you will not be asked to pay for any kind of registration fee, they are absolutely free. There are many survey sites that pay between $0.50 and $10 per each survey. The time needed to complete each survey takes 5 – 60 minutes. This post will cover everything you need to know about online surveys, how to earn, how to get paid, etc.. continue reading. 1: What are Online Surveys? 2: How do Online Survey Jobs Work? 3: How to earn from Online Survey Jobs? 5: How will I get paid from Survey Job sites? Online Surveys are a kind of feedback service that contains questions about specific products or services. These questions are targeted to be answered by the people who are willing to give their opinions/feedback about those products or services. Online Surveys are mainly conducted by the companies who want to know the real taste of people so that they can improve their products or services. Online surveys contain very basic questions about your lifestyle, use of products, family, interests, etc. How do Online Survey Jobs Work? 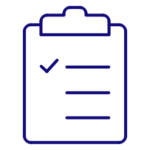 The sole purpose of online survey jobs is to get feedback/opinions about products or services from the right people so that the companies can improve their products or services in order to produce more sales. For example, you have a company and you launched a new product in the market. The sales of that product is lower than you expected so what you will do improve that product? In that case, a company will visit online survey sites that offer surveys to the people. Then the company will pay money to the survey sites for conducting surveys about their products or services. Now, these survey sites will start conducting surveys by paying money to each person who completes those surveys. So this is how online survey jobs work. How to Earn from Online Survey Jobs? It is very easy to earn from Online Survey Jobs. You don’t need to have any kind of knowledge or experience to earn money by taking paid online surveys. To join these sites, click on the provided link and enter your email & other details. You can join any survey site you want or you can join all them. Step 2: After joining, the survey sites will ask you to complete your profile by filling some details about you so, fill them accordingly. Step 3: When you are done completing your profile, go to your MyAccount or Dashboard page, then click on any of the available surveys. If you can’t find surveys on your dashboard page then click on the Surveys menu. If you are qualified then you will be taken to the real Survey page. Step 5: Now complete the survey by giving your opinion. After you are done the amount will be credited to your account. For some surveys, the amount may appear after some delay. So these are the basic steps required to earn from any survey site. On some sites, these steps may differ but the concept will be same. 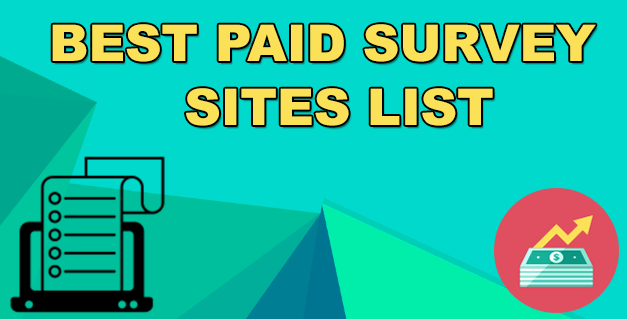 There are many survey sites available on the internet but these are the best survey sites that I trust as of 2018. Just to let you know first, 3 of them are my favorite survey sites. ClixSense is one of the very amazing Survey sites. It is online since 2007 and pays via Payoneer, Skrill, Tango Card & Check. According to Alexa rankings, ClixSense is one among top 6k ranked websites in the world(as of March 2018). ClixSense not only offers surveys but you can also earn there by completing offers & very simple tasks. Check out this step by step guide to earn from ClixSense. Swagbucks is the world’s most popular surveys & rewards program with an Alexa ranking of under 2k(as of March 2018). Swagbucks is online since 2008 & has already paid over 250 million dollars to their members. On Swagbucks, you can earn money by taking surveys, completing offers, shopping online, watching videos, answering polls, searching the web & much more. Your earnings on Swagbucks will be shown in SB points(Swagbucks points). 700 SB points = $5. Neobux is a paid-to-click site which is paying instantly since 2008. 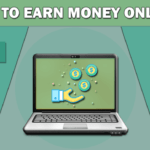 It is one of the best online earning sites with millions of members. Neobux recently added online surveys as a new option to earn so that their members can make more money along with other options such as clicking ads, completing offers, playing games, etc. Neobux pays via Neteller & Skrill. Minimum withdrawal amount is $2. Check this complete guide on how to earn money from Neobux. It doesn’t matter whether you are in the United States or India or Canada or any other country because all of these survey sites are available internationally. Some people have more surveys available while others have very few. The availability of online surveys depends on your location & you. For example, people from countries such as the United States, Australia & other English speaking nations will have more surveys available while people from India, Pakistan & other will have lesser surveys available. Also, people who are married & have 2 children with own house, own 4 wheeler vehicle, have drinking habits, etc will too have surveys. How will I get paid from Survey Job Sites? All of the survey job sites pay via online payment processors such as PayPal or via Gift Cards(Amazon, Walmart, Flipkart, etc). So you need to create an account on the payment processor you are willing to use. Almost all of the sites pay via PayPal so go ahead and create an account on PayPal. After receiving funds into your PayPal account, you can transfer that funds to your bank account anytime. If you want to withdraw your earnings via Gift cards then don’t need to register on any of the payment processors. Online survey jobs are available for Students, housewives, retired, job seekers, etc. You need to be at least 15 years old. Online Survey Jobs are really amazing because you’ll only have to give your opinion/feedback in order to earn. No investment is required as all of the survey sites are absolutely free to join. If you have 1 – 2 hours of daily free time then go ahead & start taking online surveys for money. I recommend you to join the top 3 survey sites from the list above. 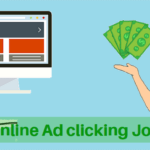 The people who love taking online surveys also like to earn money by clicking advertisements. You can also check these top genuine online jobs in case you need more methods to make money online.